Take Your Meetings to New Heights! Another stuffy board room for your next corporate event? No way! You’re more fun and creative than that. Step out of the ordinary and host your next corporate event at Canada's Wonderland. We offer a fantastic slate of options for your organization. Need to reward employees or get them excited to reach a new goal? Ask about our employee incentive & perks program. Do your team members need to get in sync with each other toward a common goal? Try our unique group activities and teambuilding events. (Nothing like screaming in unison on one of our thrill rides!) For a quick thank-you, we offer corporate ticket programs so your employees can treat their families to a day at the park for less. What’s more, we offer completely catered events, so you can leave the details (and the food) to us! 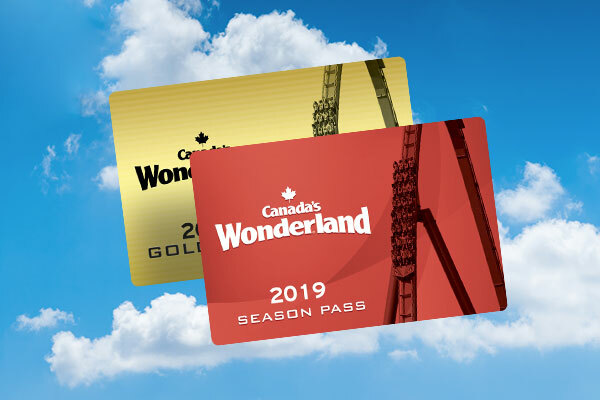 With Canada's Wonderland, you can reward, thrill and entertain your team with everything from discount tickets to a fully-planned day, complete with catering and a full cast of characters. Building shared memories and excitement starts here. 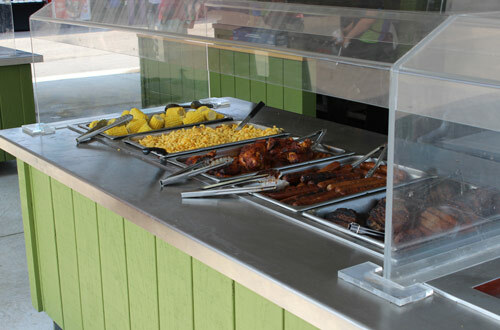 Featuring a Grilling Station, our Courtyard Group Catering Facility can provide your group with multiple options in our All-You-Can-Eat Menu! Choose from any one of our Admission & Meal Combos for breakfast, lunch and dinner and you'll save over 60% off admission for your entire group! Were you bored at the last board meeting? Was the venue for your company's last special announcement not so special? 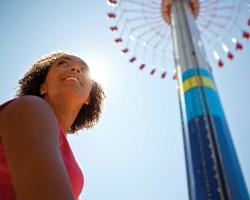 Change all that by holding your next meeting at Canada's Wonderland! We're the perfect venue for product launches, sales meetings, or just an afternoon off. Big Savings for Them. No Cost for You. 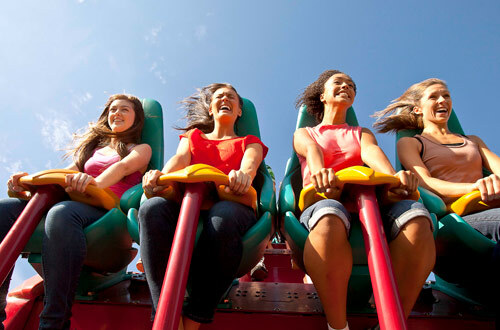 From high-speed thrills to kid-sized adventures plus water fun, Canada's Wonderland is the perfect place for your group. Offer discounted tickets to your team all year long or host a group activity or outing! 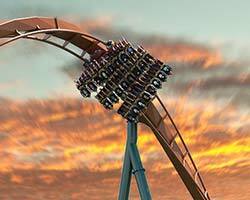 Make Canada's Wonderland Yours for the Evening! Take over Canada's Wonderland at night! If you've got the group, we've got the ultimate location. Our friendly and experienced event planners are here to handle all the details for you. Let us put together a unique package just for your group! We have the perfect location for your corporate events - from performances to fundraisers to team building and beyond, Canada's Wonderland can accommodate large productions as well as more intimate gatherings. Add in our professional audio-visual services and you are sure to have a winning event. We have the perfection location for your specialty events. From performances to team building and beyond, Canada's Wonderland has a large variety of venues to suit your needs. Experience our indoor market style all-you-can-eat international buffet. 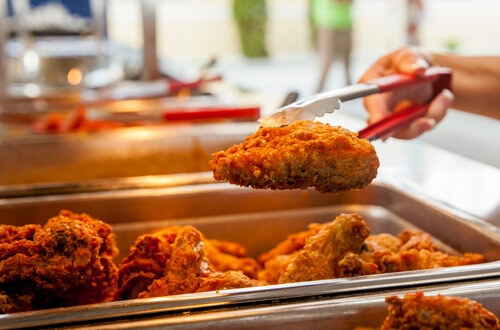 The air conditioned restaurant has the variety and selection that will appease your entire group. 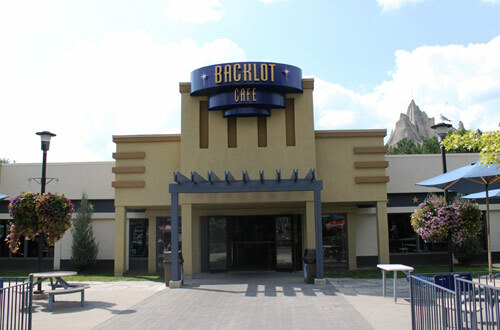 Backlot Café is an indoor air conditioned restaurant where you can relax and enjoy international cuisine and bar service. 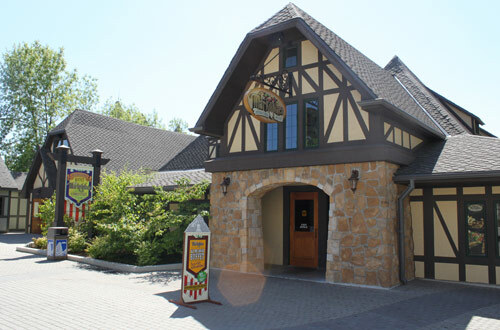 Your group can enjoy the outdoor patio and take in all the excitement and beautiful landscapes of Canada’s Wonderland. Just Need Tickets for a Group of 15-99?